The Captivating Lady Charlotte (2017) by Carolyn Miller is the second novel in the Regency Brides: A Legacy of Grace series. This novel comes in all forms including eBook, and is 312 pages in length. With a full-time job and a rambunctious five-year old at home, this novel took me four days to read. I give this novel 5 STARS. This novel is a Christian Historical Romance. William Hartwell may be a duke, but he knows he was Charlotte’s father’s pick, not the young lady’s own choice. And the captivating Lady Charlotte does not strike him as a woman who will be wooed by his wealth or title. While she has captured his heart, he has no idea how to win hers in return–and the betrayal and scandal his first wife put him through makes it difficult for him to believe that love can ever be trusted. His only hope is that Charlotte’s sense of responsibility will win out over her romantic notions. This is an excellent novel!!! Charlotte and William are the protagonists, and they are lovely characters. Charlotte is young, and totally annoying at the beginning of the story because she is so shallow and narcissistic. She has zero concept of what love actually is. Over the course of the story, as she witnesses her cousin go through one of the hardest things a woman can go through, and as she watches William in his day-to-day interactions, Charlotte realizes that real love is selfless and sacrificial. By the end of the story, I was rooting so hard for her, and I definitely wanted her to get her happily ever after. William is a perfect hero. He is hurt and withdrawn, but he is so loving. He tries everyday to do what is right, and what God would want him to do. He tries all the time to put God first, and this shows as his main concern is with the people and land that he is responsible for rather than what society would dictate. And, his interactions with Charlotte are sweet and endearing. Together, they make a great couple! This novel has a little bit of mystery to it, which I wasn’t really expecting, but I loved. Suffice it to say, there is a curse, an old abbey, some poison, and a stalker. All of this makes for a fantastic read that I could not put down. As with book 1, when I had to step away from the book, I was a little sad and couldn’t wait to get back to it! Carolyn Miller is a brilliant writer. She crafts stories that come to life. Her history is soundly researched, her characters brilliantly come to life, and her settings are breathtaking. Many times throughout the story I had to stop to research the various places Charlotte visits! 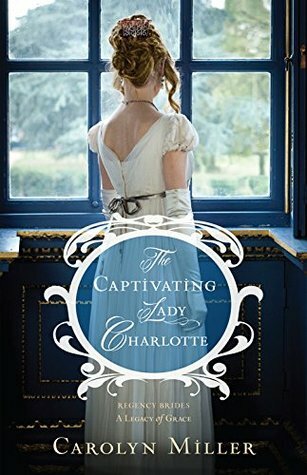 The Captivating Lady Charlotte is a page-turning, highly-engaging story that I completely recommend. If you have room on your August TBR list, I suggest you add this novel to your pile. Book three in this series is titled The Dishonorable Miss Delancey, and is due out in stores on October 24, 2017. Sounds a like it’s got a little PHANTOM OF THE OPERA mystery to it. Thanks for the review and recomendation. Thanks for sharing. 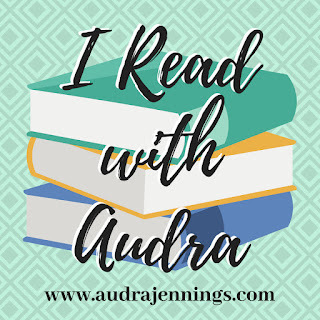 My TBR list is growing! Oh my goodness, mine too!! !